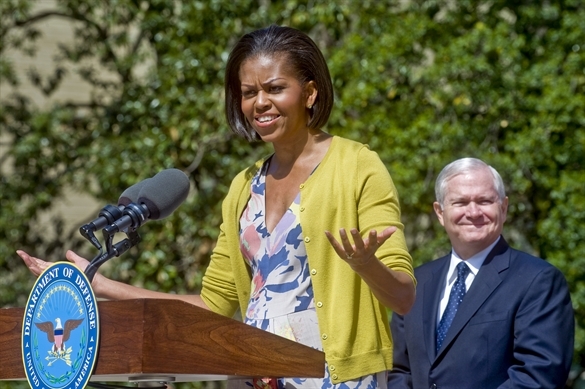 Secretary of Defense Robert Gates welcomed First Lady Michelle Obama to the Pentagon. 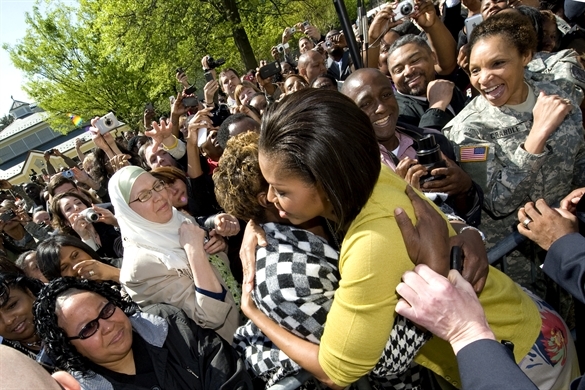 Mrs. Obama visited the Pentagon to thank military and civilian employees for their service to the nation. In recognition of the deep ties between the United States and Mexico, First Lady Michelle Obama will visit Mexico City, Mexico, April 13-15, on her first solo official trip as First Lady. During this visit, Mrs. Obama will have the opportunity to engage the citizens of Mexico, particularly young people, and build on her recent conversation with Mexican First Lady Margarita Zavala de Calderon around areas of interest to both first ladies. Tuesday, April 13 – First Lady Michelle Obama will arrive at Benito Juarez International Airport in Mexico City. Mrs. Obama’s evening arrival will be open press, however space is limited. Wednesday, April 14 – Mrs. Obama will start her day by traveling to Los Pinos – the residence of President Calderón and Mrs. Zavala – where she will meet privately with Mrs. Zavala. This event will be closed press. Upon conclusion of her visit at Los Pinos, Mrs. Obama will accept Mrs. Zavala’s invitation to tour the Museo Nacional de Antropologia (National Museum of Anthropology). The museum is a centerpiece of Mexican culture and history housing the largest collection of ancient Mexican pieces in the world. This event attended by both first ladies will be covered by a pre-determined pool of American and Mexican press. 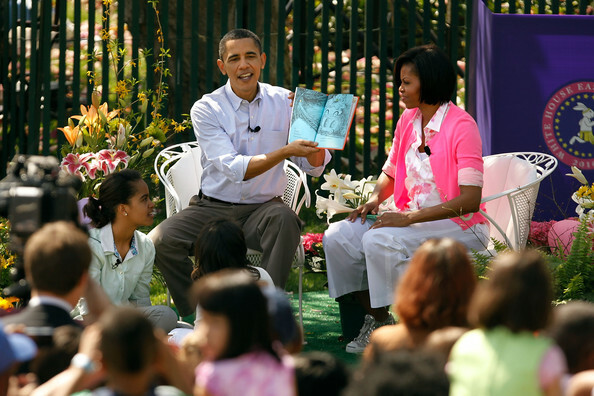 Then Mrs. Obama will visit with students and teachers at Escuela Siete de Enero, a public elementary school that serves local low-income students ages 6-12. The school also participates in a mentoring program with the American School Foundation (ASF), an academically rigorous, international, university preparatory school offering students from diverse backgrounds an American independent education, in Mexico City. Mrs. Obama’s event will be covered by a pre-determined pool of American and Mexican press. Mrs. Obama will then travel to the Universidad Iberoamericana, a multidisciplinary institution serving over 11,000 students including 800 graduate students, to address invited university and high school students from in and around Mexico City. Mrs. Zavala will attend Mrs. Obama’s address as a guest of honor. This afternoon event is open press, however space is limited. 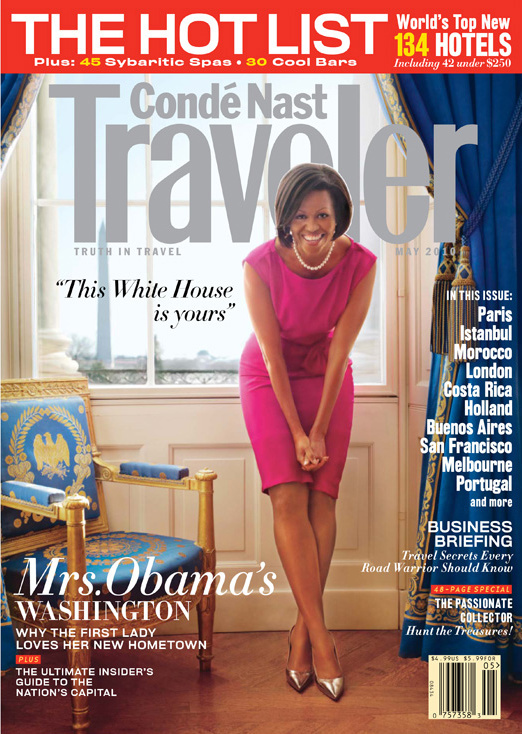 In the evening, Mrs. Obama will return to Los Pinos to attend a reception with women leaders organized by Mrs. Zavala. Following the reception, Mrs. Obama will have dinner hosted by Mexican President Felipe Calderón and Mrs. Zavala. This event is closed press. 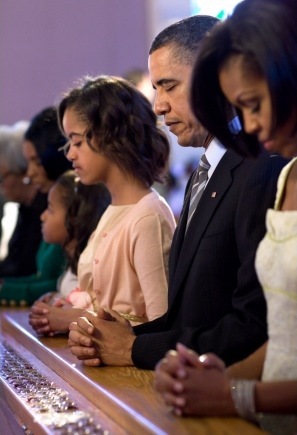 Thursday, April 15 – Mrs. Obama will begin her day by thanking United States Embassy employees and their families. This event will be closed press. Then Mrs. Obama will host a group of young leaders at La Hacienda de los Morales, an event center with a rich history dating back to the 16th century, for a breakfast roundtable discussion. Mrs. Obama will ask these men and women about their experiences and encourage them to continue their leadership in the community. Mrs. Obama’s event will be covered by a pre-determined pool of American and Mexican press. Upon conclusion of the roundtable breakfast, Mrs. Obama will depart Mexico City. Thursday, April 15 – On the return trip from Mexico, the First Lady will stop in San Diego, California, for a Let’s Move! event. Further details on this event will be circulated next week. 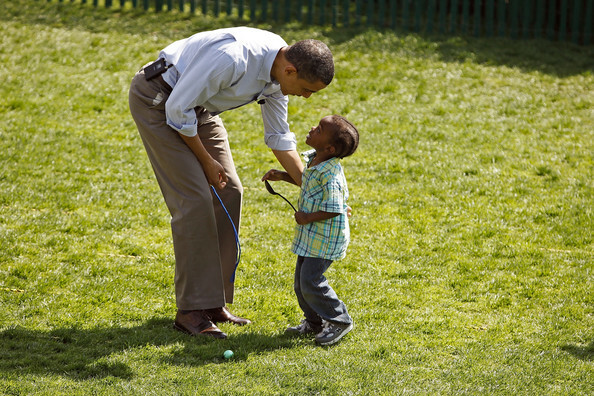 Supporting military families is a top Obama Administration priority. April is Month of the Military Child and gives the nation the opportunity to recognize the character, strength and sacrifices of America’s military children as well as the role they play in the armed forces community. Today, there are 1.7 million American children and youth under 18-years-old with a parent serving in the military and approximately 900,000 children and youth with one or both parents deployed multiple times. Learn more about the Month of the Military Child here. LAT~Reporting from Washington – The news might have set off alarms in some past administrations: The president’s brother-in-law has written a book. But you won’t find dirty laundry in a memoir from First Lady Michelle Obama’s brother, Oregon State basketball coach Craig Robinson. The book, “A Game of Character,” which has a foreword by their mother, Marian Robinson, is due out April 20. Craig Robinson writes that he and his parents didn’t think Barack Obama stood much of a chance with his sister when they met him. He and his parents were out on their porch on a hot summer night in Chicago when the couple stopped by to say hello on their way to a movie. “Well, he’s tall,” Marian Robinson said while Obama was out of earshot. “Not a bad-looking guy, either,” said her husband, Fraser. Miche, as he calls her, was a disciplined, scholarly girl who saved money fastidiously, who learned to box at their father’s behest and who once conspired with him, upset that their parents smoked, to destroy every last cigarette in the house. Robinson writes mostly about basketball, even when describing how he introduced his sister before her prime-time address at the Democratic National Convention. In A Game of Character, Robinson takes readers behind the scenes to meet his most important influences in his understanding of the winning traits that are part of his playbook for success. Central to his story are his parents, Marian and Fraser, two indefatigable individuals who showed their children how to believe in themselves and live their lives with conviction through love, discipline and respect. With insights into this exemplary family, we relive memories of how Marian sacrificed a career to be a full-time mom, how Fraser got up and went to work every day while confronting the challenges of multiple sclerosis, how Craig and Michelle strengthened their bond as they journeyed out of the Southside to Princeton University and eventually, the national stage. Heartwarming, inspiring, and even transformational, A Game of Character comes just at the right time in an era of change, reminding readers of our opportunity to work together and embrace the character of our nation, to make a difference in the lives of others and to pave the way for the next generation. 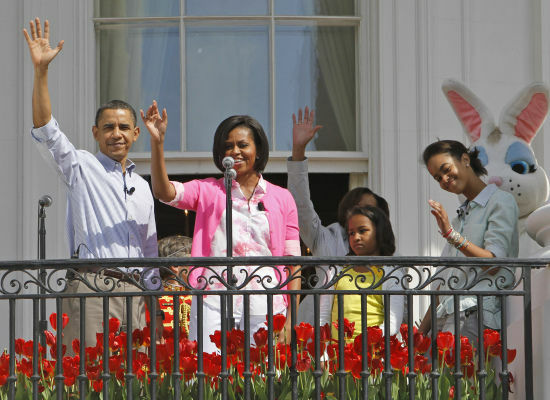 The First family are holding this year’s White House Easter Egg Roll on Monday, April 5, 2010 with the theme of “Ready, Set, Go!” promoting health and wellness. 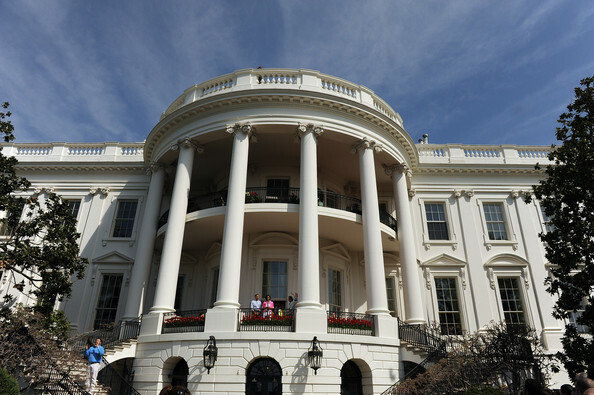 Over 30,000 people from all 50 states and DC will visit the South Lawn of the White House this year. The event features live music, sports courts, cooking stations, storytelling and, of course, Easter egg rolling. 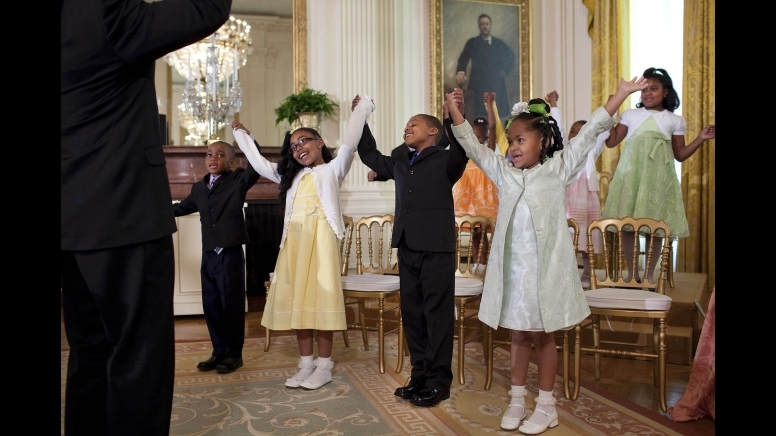 All of the activities will encourage children to lead healthy and active lives and follow the First Lady’s ‘Let’s Move!’ initiative, a national campaign to combat childhood obesity. 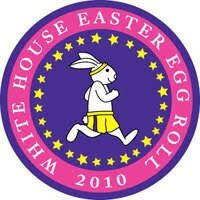 The 2010 White House Easter Egg Roll souvenir eggs are available for purchase online at the National Park Foundation website. Each wooden egg is expertly crafted, painted, and includes the signatures of the President and First Lady. 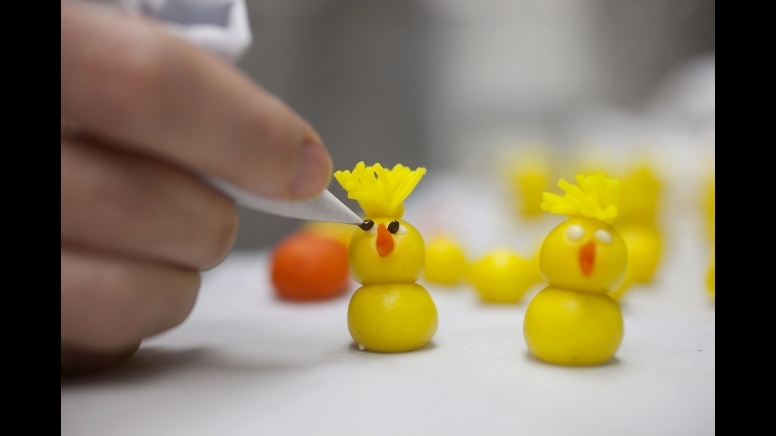 Chef Art Smith, Chef José Andrés, Chef Cliff Wharton, Chef Nora Poullion, Chef Robert Wiedmaier, Chef Susan Limb, Chef Victor Albisu, and the White House Chefs will prepare healthy eating demonstrations in the Play with your Food area. 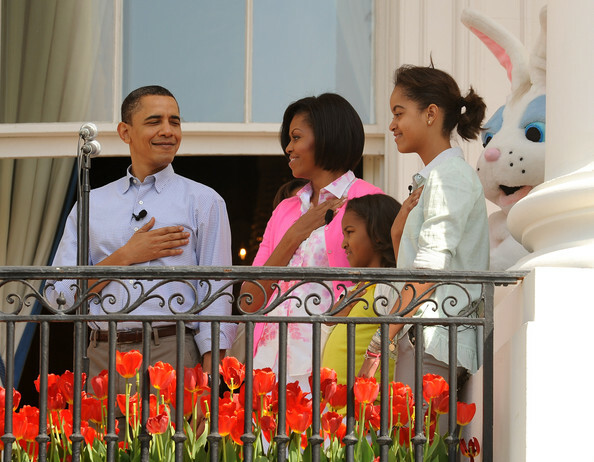 All of the headliner music acts and Storytime Stage readers will have their performances broadcast live on www.whitehouse.gov/eastereggroll. A full schedule will be posted on the morning of April 5th so citizens from across the country can participate in the event. 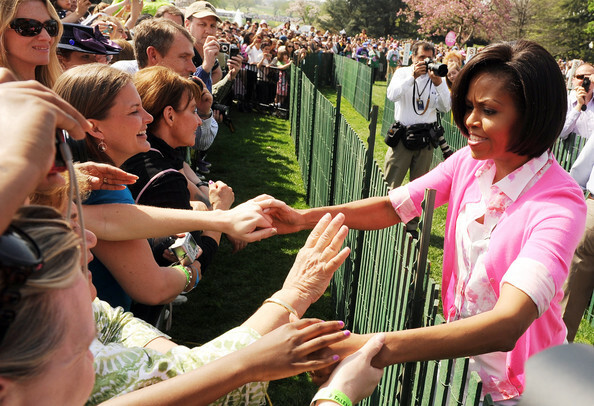 A more ambitious and comprehensive approach to sustainability was taken to minimize the environmental impact of the 2010 Easter Egg Roll. Some of the highlights include: the “greenest” souvenir egg in Egg Roll history, crafted from Forest Stewardship Council certified U.S. hardwood; goody bags made from 100% post-consumer recycled plastic; the use of organically grown fruits and vegetables at the Play with Your Food station; and increased recycling and composting capabilities on the day of the event.